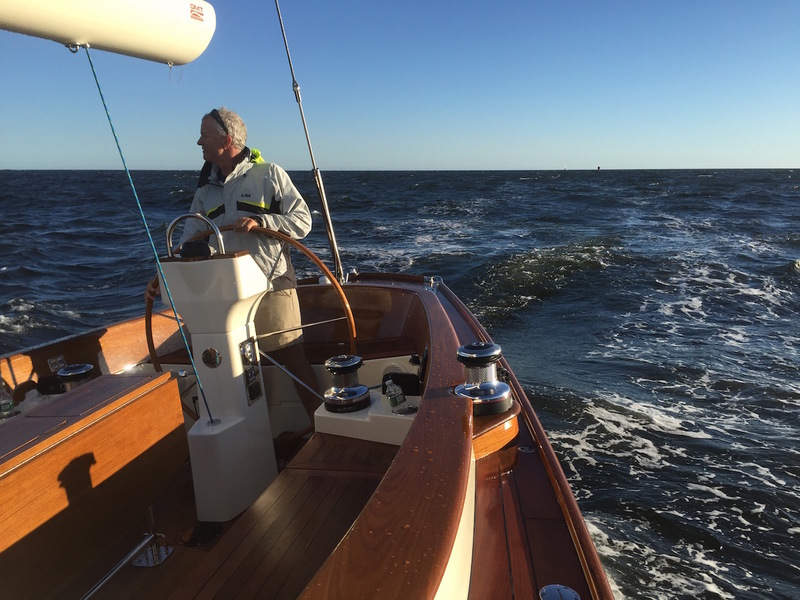 Morris Yachts‘ Cuyler Morris and I have been going to windward…for years. He and I have sailed more than a few offshore miles together on virtually every new Morris model that’s been launched in the last 15 years. But the crazy thing is, no matter where we are, or what boat we’re on, or where were headed, wind speeds never seem to dip below 18 knots, and the wind direction never seems to waver from ON THE NOSE! I’m not kidding. And you think I would have learned my lesson when Cuyler called me up yet again and said ” You wanna help me sail a new M42 from Cape Cod down to Newport for the Boatshow?” You think I should have been prepared for steep chop, sporty breezes, and infinitesimal apparent wind angles but……Nooooo. 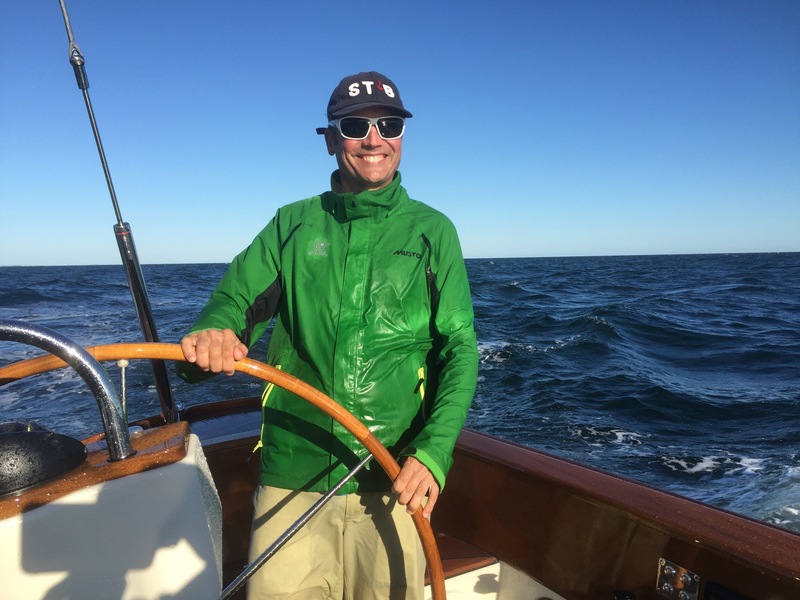 My nonchalant check of the weather called for a sun-kissed, late summer motorsail in 8 knots of breeze down from a certain exclusive enclave on the Cape so….I didn’t even bring any real foul weather kit. You can see why I never really made it in the Cup Scouts, right? Here I am demonstrating why the Boy Scouts didn’t really work out. And then we saw the large windmills near Hyannis spinning a whole lot faster than they should have been on a “calm” Cape Cod morning. But you know what I’ve also learned? In the end, the seemingly never-ending sporty breezes on the schnoz never really matter. 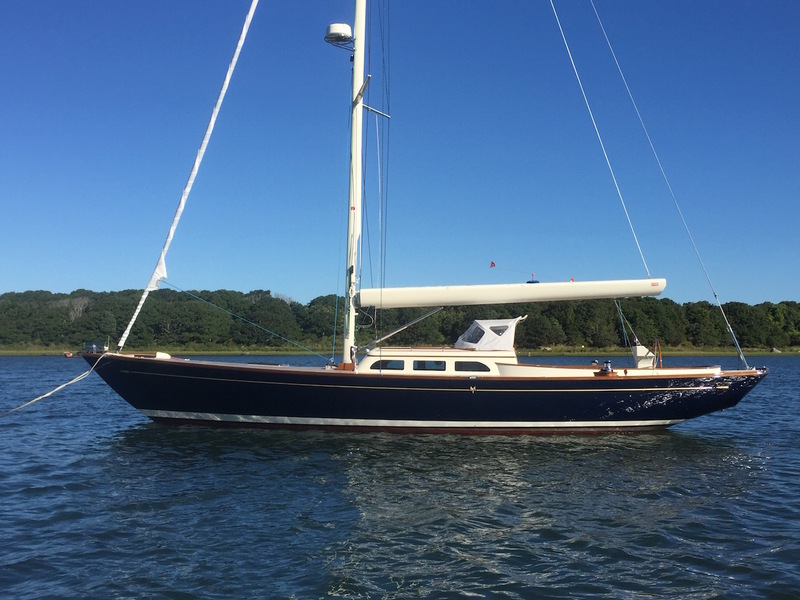 Morris Yachts have a well-earned reputation for being as sea kindly as they are stunning. They are built to perform beautifully in the conditions Cuyler and I always seem to find ourselves in. 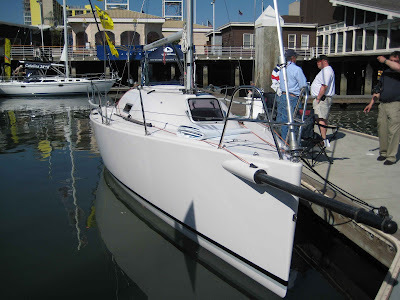 And maybe more importantly, I was reminded how fun it is to sail a good boat, in good breeze, with a good friend (for 50-or-so upwind miles) on a sunny late summer day. And you know what else I was reminded of? Just how amazing it is to sail directly into steep chop and solid, 20-knot head winds, and NEVER POUND ONCE! Let’s let that sink in for a moment shall we? We did not pound. 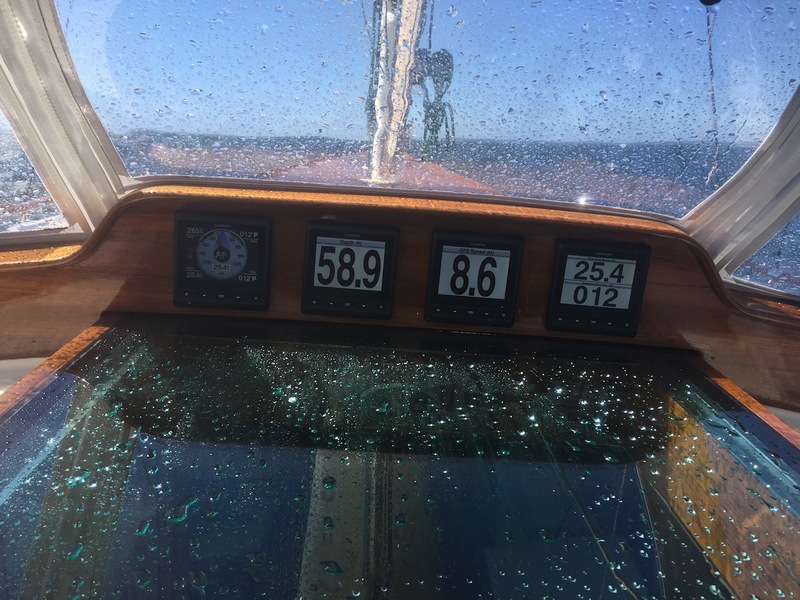 In fact, we ate cookies, celebrated Cuyler’s 50th birthday, talked about how nice it was to be sailing past Cuttyhunk on a Tuesday afternoon, and logged speeds in the 8’s for most of the way. Sure we were getting a push from the current rushing out of Vineyard Sound, and yeah, we did get wet from an occasional spray that made it past the dodger, but we never experienced the rig-shuttering, filling-rattling, pounding I have all-to-often felt on boats going upwind in those exact same conditions. The M42 is as sultry as she is seakindly. And that’s just one of the reasons I always say yes when Cuyler calls. I always say yes when Morris Yacht’s Cuyler Morris calls. While some boats may bash to weather with the subtlety of a sledgehammer, the M42 pampered us with the comfortable and refined ride Morris Yachts are known for. And oh, yeah, her good looks turn heads in every harbor she enters. And as you can see in this clip, no other boat model turned more heads when the show started a few days later. So, if a boat’s “manners” mean anything to you, do yourself a favor and take any of the Morris M-Series boats out for a spin. “Pounding” to windward will never feel the same again. Previous articleHappy 300th Birthday Boston Light!